The bin is full of pre-screened stories from Ken Pfeifer of MUFON - here's a sampling of excerpts: Lots of excerpts. UFOlogy at it's best. Description: The witness is a psychic medium and has had several “unusual” experiences best categorized as paranormal. She had been having problems chewing on one side of her mouth. She visited a dentist because of her discomfort. Dental x-rays were taken. (See above.) The x-rays revealed unusual objects between the tops of her teeth. The dentist had no explanation for these anomalies. "Shortly after my third experience I was opened up. I was doing the dishes and suddenly this voice said to me and my head do you want to be a professional psychic. Without thinking I don’t know why I just said Yasemin. There was a flash of light and the next thing I knew I couldn’t stop doing readings for people at all. I don’t know if that was divine or ET’s or both, but that is what happened. Then I started having really bizarre paranormal experiences every single day of my life. It is my life. It is how I make my living now! " 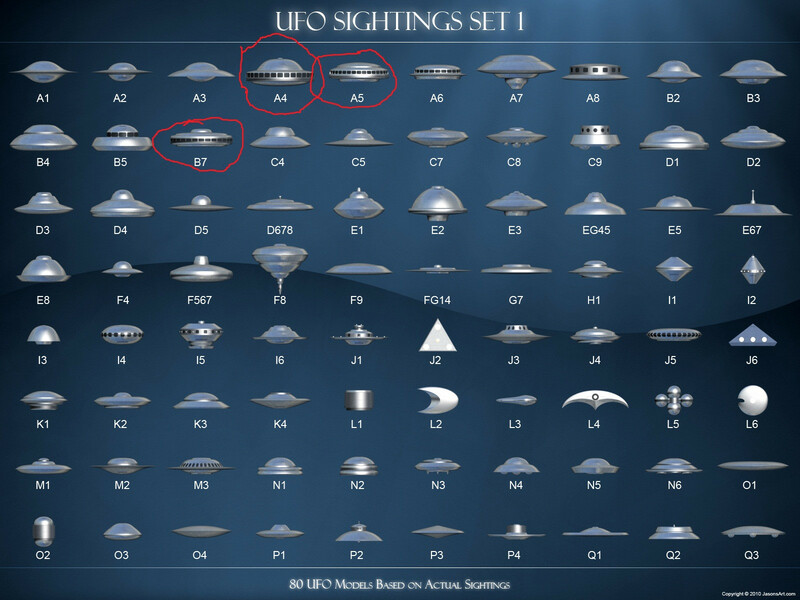 The connections in UFOlogy (the able to not be) know no bounds. While driving home about 9:15 pm on March 18th 2013, I was heading South on PCH. I stopped in turn Lane at Latigo Canyon to make left and had to wait for oncoming traffic. While I was waiting something caught my eye by the beach. I thought I saw a boat on fire. I then was able to turn. I pulled over as soon as possible and grabbed my cell, shut off car. I was going to call 9-11 to report a fire, but then realized it wasn't a boat. I then proceeded to witness these bright round orbs coming up out of water, the first two went approximately 100 feet in the air then turned and came directly over me and continued into mountains. The remaining seven once arriving at same altitude, heading north straight up coastline. I was in such shock it didn't occur to me to start taking pictures until the first two were gone. I was quite scared. UFO experiences/perceptions are befuddling at best. I'm still torn as to Orbs emitting from the sea but the idea of the sea as a real potential hiding place for ANYTHING is quite obvious. "I couldn't sleep, so I suggested to my boyfriend that we go out and look at the sky. I live in a heavily light-polluted area, so getting a good look at the stars is a rare occurrence. With few clouds and the moon out of view, for once, there were a fair amount of visible stars. We grabbed a blanket, set it up on my front lawn, and fixed our eyes on a stationary star above us in attempt to see some shooting stars. After about 20 minutes of laying and staring we both witnessed an extremely bright circular object appear right before our eyes. It looked kind of like a star, in that it was white-blue in color and the same spherical shape, however it seemed much closer and was brighter than anything I have ever witnessed in the night sky. I immediately felt emotional, sitting up and beginning to cry for unknown reasons. It only lasted for a second or two before fading out and disappearing completely, without moving from its original location. After seeing this, we were both confused and shocked. We began to rule out what it couldn't be, and were left with no explanation as to what it was. After a few minutes (5-10) of frenzied ideas, while still staring at the sky, the light returned -- this time slightly above our heads and behind us, but bright enough so as soon as it appeared we were both fixated on it. It behaved exactly as it did the first time, eliciting the same emotional reaction, and faded out just as quickly. " A sense of wonder is often rewarded by the able to not be. 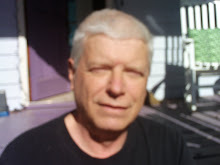 I was watching the 11:00 news in North Smithfield Rhode Island on June 14, 2013. Family members were asleep upstairs. I felt a strange feeling of unease and nervousness for no reason. I was sitting near sliding glass doors with the curtain closed. For some reason, I stood up and wanted to look outside. As I peeked through the curtains,I looked across a 3 acre meadow toward the distant tree line. Directly over one of the large distant trees was a bright, white, translucent, teardrop shaped, glowing object. It was the size of two full moons.It seemed to be illuminating a large area around it-brighter on the right than the left.I looked at the cable box clock and it was 11:11 on the dot. As I continued to look at the object,it blinked and lit up a fairly large area. It made the area near it light up as in a thunderstorm. It was hard to tell how far away it was. It could have been 1000 feet or a mile or more. It was hard to say. As I studied it closer,I saw four or five brighter white spots on it facing toward me. I wondered if they were beams. There were no lights or beams shining down on the meadow which remained dark.There were broken clouds that night. I wondered where the beams could be pointing. I looked up to the clouds directly over the house and saw that the outer edges facing the object were outlined in white light like a beam of light was being projected on them from the object. It was stationary over the tree line for at least 5 minutes. At this point, I was absolutely terrified. Multiple Orb experiences result in MUFON reports for sure. This case was originally brought to light by renown researcher Jacques Vallee, and it is a strange one indeed. Occurring at Nouatre, Indre-et-Loire, France in 1954, it is a case unlany other, and yet all of the witnesses to the event are considered trustworthy, and their strange sighting has never been debunked. George Gatay, who was foreman of an eight-man construction crew, was unexpectedly drawn away from his crew, feeling a sense of "peculiar drowsiness." He was walking, but did not know why or to where. A short distance from his construction site, Gatay was amazed to encounter a man standing on a slope, some 30 feet from him. The "man" was wearing an opaque glass helmet with a large visor. He was wearing gray coveralls, and short boots. He also held an object in his hand, which Gatay described as a weapon of some kind, like a rod. There was a kind of electronic instrument display on his chest. This strange looking man was standing in front of a dome-shaped object, which hovered about 3 feet above the ground. The craft had a cupola with blade-like devices above it. Gatay, enthralled with the sight of the man and his craft, was frozen in his tracks. Gatay stated: "Suddenly, the strange man vanished, and I couldn't explain how he did it, since he did not disappear from my field of vision by walking away, but vanished like an image one erases. Then I heard a strong whistling sound which drowned the noise of our excavators. Soon the object rose by successive jerks, in a vertical direction, and then it too was erased in a sort of blue haze, as if by a miracle." Gatay had tried to run after first seeing the being and object, but was "paralyzed" during the sighting. Strangely, his seven co-workers were also in a sort of a daze during the incident. All eight of the men were "non-believers" before their strange incident. As soon as Gatay was released from his strange encounter, he ran back to the other workers, and cried, "Have you seen something?" One of the men, Mr. Beurrois, exclaimed, "Yes--A flying saucer!" Another of the men, excavator driver Mr. Lubanovic added, "There was a man dressed like a diver in front of it." I absolutely love the evolution in our descriptions of alien entities over time. Me and my parents, sister and cousin where driving home from my cousins house between 12pm to 1am traveling from the direction of Ratzer Rd on Valley Rd, heading towards the direction of Riverview Dr. I was sitting in the back of the car and had looked out the back window and noticed a light over the road heading toward us. When it passed over us we were about 100 from the first entrance to High School on the right. My parents were talking and I said look a UFO, they first didn't respond then I said it louder. When it passed over it went slighting in a right direction where at that time there had been a old church converted to a PAL building with a roughly 40 foot Pine tree next to it. Today they are both gone and the main entrance is now there. When my mother saw it she said what is that and told my father to pull into the High school entrance. We parked by the front doors of school and the UFO was about 6 feet above the tree. 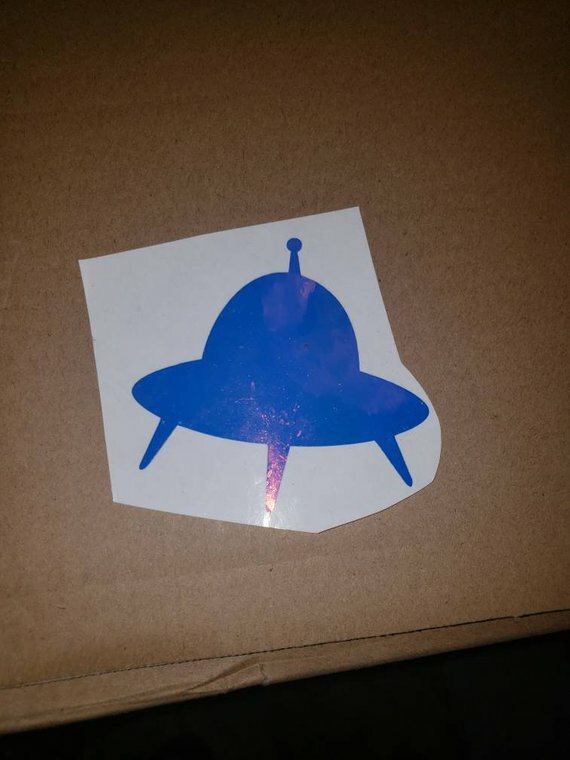 The UFO was, I would say, around 40 diameter and as I can remember seemed as though the top was turning in one direction and the bottom the other and the middle seemed to be all boxed lights not moving with a glowing look. The UFO was stationary for about a minute or two and again as I remember no one in the car was talking. Now in the direction of Preakness Ave which is a hill heading towards Paterson about two miles out you could see a small planes lights flying over Paterson guessing 2000 ft elevation. I didnt notice this until the UFO headed that way. When the UFO took off it went in the direction of the plane when it was just above the plane did this in less then a second then went vertical over it and disappeared. I had mentioned it at school to a school mate the following school year whose mother called my mother because the had been in West Paterson that night at a party and saw it. The odd thing was years later, when brought only 2 of the 5 had no memory of the encounter. No speaking in detail afterwards and no remembering after time is part of the UFOlogy experience. On or about April 15, 1997 (exact date can be checked as we filed a flight plan to Dyersburgh Tenn.) a friend of mine (now deceased less than a month later) and I were to fly machined parts from his company to Dyersburgh Tenn. We rented a Cessna 172 and flew straight thru with no problem. In the flight office prior to our return flight we were watching a line of thunderstorms moving west to east and trying to decide when it would be safe to depart. As the line moved thru we decided to takeoff and fly to the backside of the storms heading north while the storms moved off. I wrote our departure time on the edge of the flight map as approx. 8:10 pm. We were, what I believed to be an hour and a half into our flight when, as we flew north (I was piloting the aircraft and Tom was tending to the navigation)we began to encounter some clouding conditions and zero visibility. I immediately changed our heading 180 degrees. A moment later (or so it seemed) Tom said to me "what time have you got?" I immediately felt as though I had just been awoken. I was trying to gather my thoughts when Tom said "hey, your watch is stopped" I looked at my wrist watch and it was stopped at 7:25, which alarmed me as I had used it earlier to check our departure time. I looked at all of our gauges and they were not functioning either. Tom had a laptop nav. device that wasn't working either. We were both speechless for a short time. We were now in clear air and found a private airstrip to set down at. Getting our bearings again and with all the equipment back up and running (watch included, though still an hour and a half behind) we flew on back to Dayton Intn'l with no further incidents. We didn't discuss it much after that and Tom had a massive heart attack a few weeks later and died. Myself, I started drawing. I will include some of these drawings I did after our flight. I have some more drawings but can't seem to get them uploaded. I have also some other sightings to report at some point that I have seen around Wright Pat. as I live not far from there. NOTE: The above drawings are from the witness. I was driving along highway 39 out of Klamath falls, As I was entering the town of Merrill when I noticed a pure bright white pointy edged kind of rectangular light emanating from an object (to me seemed to perfect of a light to be a kitchen window light) silhouetted by the houses behind it in a field about 50-60 feet away from me off the main road. Although it was dark out still I could make out a pie plate shaped object about 20 feet in diameter with a sort of dip missing from one side. It was on that side I noticed more than two but no more than four smaller persons around it. I got the impression they were working, I did not pay too much attention to them as I slowed to make out what I was looking at. Suddenly I got a stabbing feeling in me the people around the object were alarmed I had noticed them and now I was staring. I could not make them out because of the dark but I thought maybe they were a mix of children and teens or possibly women because of the height and frame, they stopped what ever it was they were doing and stood still. I entered town and lost sight temporarily. I was driving a u-haul truck and towing a car trailer, It was difficult but I made a u-turn to take a longer look at this weird object. when I returned after a time lapse of maybe 3 min. tops most likely less, It was no longer there only a kind of haze or fog remained. I scanned the sky hanging my head out the window. I noticed a blinking red beacon for aircraft like the kind all over the area on mountains and towers. This beacon was about maybe 50 feet above a closed sore or business, I stared at it realizing nothing was holding this "Beacon" up, Like it was trying to mock the other beacons all over the area. The flashing stopped then red and white lights came on all around the outside of the craft then began to go around the circumference of it in sequence, white then red then white... I knew it was definitely a disk at that point. The front (or what i assume was the front) tilted downward about 20 degrees and began to slowly fly off at a casual helicopter speed. I assume in order to throw me off by mocking a helicopter now. This made me laugh because it was nothing like a helicopter. I listened intently for any noise as it made no noticeable sound at all. No sound experiences are near common consensus in this UFOlogy reality. 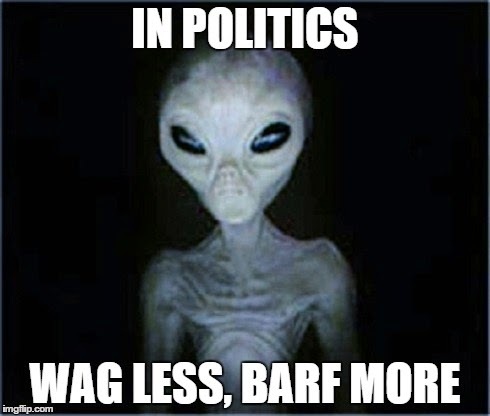 And, now the aliens are shortish... to fit the modern images.